The ISOMETER® is an insulation monitoring devices in accordance with IEC 61557-8 for IT systems. The devices are universally applicable in AC, 3(N)AC, AC/DC and DC systems. AC systems may include extensive DC-supplied loads (such as rectifiers, inverters, variable-speed drives). 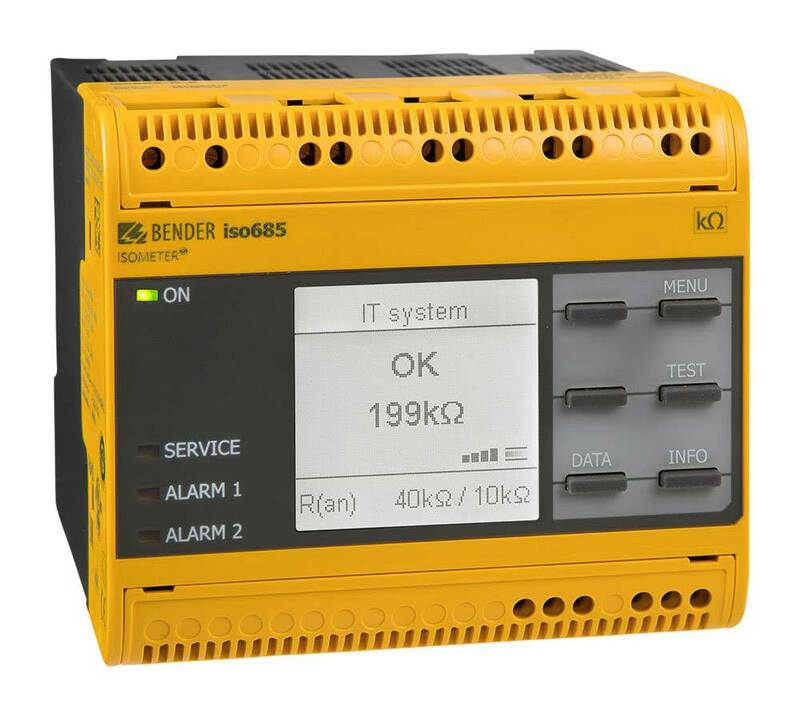 iso685-D-B: This device variant ISOMETER® iso685-D-B features a high-resolution graphic LC display and operating controls for direct operation of the device functions. It cannot be combined with an FP200. iso685-S-B: This device variant ISOMETER® iso685-S-B features neither a display nor operating controls. It can only be used in combination with the FP200 and it is operated via this front panel. Option "W": The ISOMETER®s with and without integrated display are available with option „W“ for extreme climatic and mechanical conditions (ISOMETER® iso685W-D-B and iso685W-S-B). ** If the “transparent front cover 144x72 (IP65)” is used, the cutout in the control cabinet must be increased in height from 66 mm to 68 mm (+ 0.7/-0 mm).